Did You Receive A "Tacks Shelter?" There is a special story behind the coveted "Tacks (tax) Shelter" that we give our speakers! One of our late members, Finis "Dwain" Harris, enjoyed working with his hands--as a matter of fact, he was known for creating some of the best slot car racing tracks in Texas. Dwain's love for working with his hands resulted in several beautiful wooden pieces that you may have seen at our club meetings, including president's gavels and a display that includes the names of all of our Past Presidents and Paul Harris Fellows. In particular, one of Dwain's pieces was the tacks shelter--a fun gift that our club presents to each of our speakers. Dwain continued to make tacks shelters for our speakers until he passed away in 2011 at the age of 93. Luckily, Southside Rotarian Rod Vaughn has continued Dwain's legacy of making tacks shelters -- so each of our speakers will continue to enjoy a precious piece of Southside Rotary history! Kenneth S. "Ken" Wingfield was a member of the Southside Corpus Christi Rotary Club. Ken Wingfield passed away February 10, 2017 at the grand age of 90. 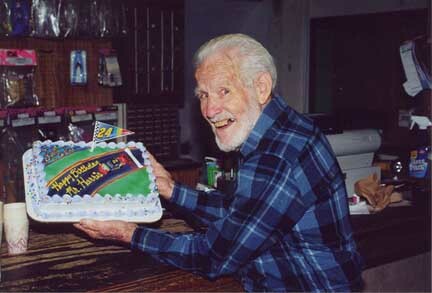 Ken was born March 13, 1926 in San Antonio, Texas to Otillia and Henry Winfield. He was raised by his mother and grandmother in Woodsboro and Alice, Texas, graduating from high school in Alice where he played varsity football. Ken enlisted in the Navy at age 17, during World War II, attaining Seaman First Class-Aviation Cadet. After military service, he graduated from the University of Texas where he was active in intramural soccer and Pi Kappa Alpha fraternity. Ken had a long and successful career in the life and health insurance business. At the end of 1966, Ken moved his family to Corpus Christi to work with a wonderful team of insurance professionals. Years later, he branched out to become an independent life and health insurance agent. 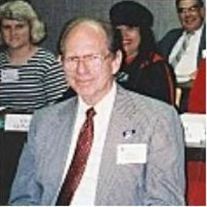 He earned his CLU, ChFC, and LUTCF designations and received numerous other achievements, including top performer for Provident Life & Accident, membership in the Million Dollar Round Table, serving on the National Board of Trustees for the Life Underwriter Training Council, and as an officer of the Corpus Christi Association of Life Underwriters. He represented his profession as a speaker and was named as a Lifetime Member of Southside Rotary Club. Ken and his wife, Jean, celebrated their 66th wedding anniversary on December 27, 2016. Together they were a very special couple who found meaning and purpose as parents, grandparents, great-grandparents, and as active members of their church communities, especially St. Bartholomew's in Corpus Christi. Ken is survived by his wife Jean, and by their daughters Debbie (Rick) Dunham, Pam (Malcolm) Birdsong, and Judy (James) Timmons; and numerous grandchildren and great grandchildren. A Celebration of Life and Interment of Ashes service will be Saturday, February 25 at 4:00pm at St. Bartholomew's Episcopal Church in Corpus Christi. A reception will follow in the Parish Hall. In lieu of flowers, the family suggests a memorial gift to St. Bartholomew's Episcopal Church or to Palmer Drug Abuse Program (PDAP) Corpus Christi, 3104 S. Alameda, Corpus Christi, TX 78404. 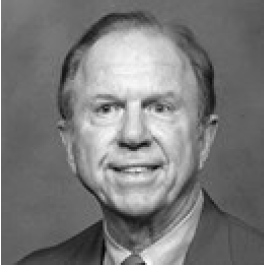 Jack A. Colmenero was a member of the Southside Corpus Christi Rotary Club and served as President in 1982. Jack Amabilis Colmenero passed away at his home after a long illness in the evening of December 18, 2016. Jack was born in Corpus Christi, Texas, on September 29, 1935, to Arturo Santiago Colmenero and his mother Zenaida Amabilis Colmenero. His mother passed away soon after giving birth to Jack's younger brother George nearly four years later. Jack and George's aunt and uncle, Dora and Fausto Colmenero helped raise the brothers until Arturo was remarried to Elia Vann Colmenero in 1954. Jack had the unique distinction of serving in the U.S. Navy until May of 1958 and then reenlisting into the U.S. Army until September of 1960. Jack was married to Nelda and had two sons Jack Jr. and Jason Colmenero. He founded Coastal Home Designers in 1961 and is responsible for over 4,800 homes and commercial buildings from Corpus Christi to Austin to The Rio Grande Valley. Homes and building of his design line the streets from Ocean to Saratoga and are noted for their presentation and appeal. Jack was a member of the Corpus Christi Southside Rotary Club and served as its President in 1982. Jack was remarried to Armilda "Amy" Colmenero in 1990 and they remained husband and wife till his death. Jack's passed with his wife, family and friends beside him at the age of 81. Jack was preceded in death by his brother, George and his stepbrother, Marcus "Tony" Vann. He leaves behind his wife, Amy, his sons Jack Jr., and Jason, a stepsister, Josephine Weichart, his youngest brother Carlos G. "Jerry" Colmenero and four grandchildren and three great-grandchildren. A Memorial Service will be held at Our Lady of Perpetual Help Church at 10:00 A.M., Saturday January 7, 2017, followed by Mass at 10:30 A.M., at Our Lady of Perpetual help located at 5830 Williams Dr, Corpus Christi, TX. There will be a private burial with the family at a later date. Isaias M. "Ike" Salinas passed away Tuesday, October 11, 2016 at the age of 83 after a short illness. Ike was born on January 13, 1933 in Benavides, Texas. He spend his childhood in Bishop, Texas. Ike's family then moved to Corpus Christi, Texas. Ike was a United States Army Korean War veteran. He served his country in the Philippines repairing military aircraft. He and his wife Maggie owned Coastal Sheet Metal on Leopard Street for 25 years. He was known as an expert craftsman including doing work for the department of defense and the refineries. He served on numerous boards in Corpus Christi, including the Spohn Foundation Board. As Chairman of the Hispanic Republicans of Nueces County, Ike met with President Ronald Regan at the White House, witnessing the signing of a proclamation declaring National Hispanic Heritage Week. If you knew Ike, you remember him always smiling and telling a joke, he loved life. Donald A. Ocker, age 75, passed away on Tuesday, May 10, 2016. Don ran the Bar-D-River Ranch farming and ranch operation with his brother Richard Ocker, his son David Ocker, and nephew Cameron Ocker. He also served as Chairman of the Board and CEO of Gulf Compress, and board member of the Chapman Ranch Gin, Gulf Coast Co-Op, Valvo, South Texas Cotton and Grain, Corpus Christi Grain Exchange, Nueces Co-Op Gin, and Southern Cotton Growers Association. He was Chairman of the Board of the Nueces Soil and Water Conservation District. He also served in the trust departments as a farm and ranch consultant for various banking entities. Those in Southside Rotary will remember his weekly agriculture reports to the club, which reported on progress of annual regional planting or harvesting efforts, cotton yields, regional impacts of droughts, and other enlightening perspectives about the agricultural business. Visitation will be held at Seaside Funeral Home in Corpus Christi, Texas on Thursday, May 12, 2016, from 5:00pm-8:00pm. The funeral service will be on Friday, May 13, 2016, also at Seaside Funeral Home Chapel at 1:30pm with interment to follow. Orby Roots was a Rotarian and member of the Rotary Club of Southside Corpus Christi from June 2, 1955 - June 30, 2003. Orby G. Roots, 88, passed away Monday, January 25, 2016, following a long illness. A well-known and respected architect in Corpus Christi and throughout South Texas, he was principal partner of the Roots/Foster architectural firm and designed many local schools and facilities during his career. An only child, Orby was born on March 16, 1927, in San Benito, TX. He graduated from high school in San Benito and enlisted in the US Army during the final months of World War II. Following military service, Orby graduated from Rice University with a degree in Architecture. Orby arrived in Corpus Christi in 1957 and met the love of his life, a schoolteacher named Rilla, in a boarding house operated by Rilla's grandmother. The couple was married in 1958 and would have celebrated 58 years of marriage this April. Watching tennis and appreciating antique cars were two of Orby's favorite activities. At his residence on Palmetto Street as well as at the Mirador, where he and Rilla lived for the past three years, Orby treasured his extensive collection of model antique cars. During the 1990's, Orby owned a horse named Dunny that he entered in various competitions, an activity he greatly enjoyed. Orby was active for many years in the Corpus Christi Chamber of Commerce and the local chapter of The American Institute of Architects. He also served as president of the local Red Cross Chapter. A long-time member of St. John's United Methodist Church, Orby served in several leadership and committee roles. He will be remembered as a true gentleman with a wonderful smile and sweet personality who loved his family, church, and community. Orby is preceded in death by his parents and his and Rilla's only daughter, Alessa. He is survived by his wife, Rilla; sister-in-law and brother-in-law Susan and Ceryl Riley of Austin and their family; cousin Carol Light; and many special friends, neighbors, and church family. A Memorial Service will be held at 2:00pm on Friday, January 29, 2016, at St. John's United Methodist Church, 5300 S. Alameda, with a reception to follow. In lieu of flowers, please remember your favorite charity; the Coastal Bend Chapter of the American Red Cross; or St. John's UMC Memorial Fund. Fellow Southside Corpus Christi Rotarian, Gerene H. Beckley, passed away peacefully on Thursday, July 2, 2015. Gerene, a former Girl Scout and Girl Scout Leader, loved being a Rotarian and Ramp Champ. Gerene was very happy when she shared the gift of Rotary with her grandson, Brian, when she sponsored him as a new member in September 2014. Gerene was a Rotarian for 17 months, a PHF+2, a Paul Harris Society Member, and a Bequest Society Member. Per Gerene's request, in true Rotary spirit, she wishes "service" instead of a service. We are all invited to participate in a special wheelchair ramp service project on Saturday, July 25, which will be dedicated to Gerene. Following the ramp, we will continue the celebration of Gerene's life with fellowship, lunch, and a dip in the pool at Suzanne and Alan Guggenheim's home. Debbie High and family wish to thank their Rotary family for their fellowship, love, and support.